With a wheeled trolley you can move a stack of bins and crates easily and ergonomically. Even the transport of heavily laden bins then runs on rollers. 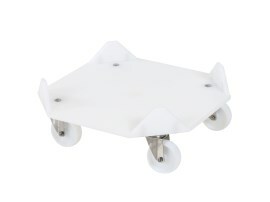 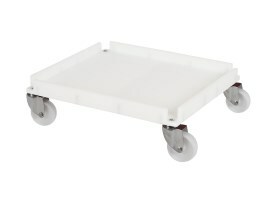 Wheeled trolleys, also called dollies or transport rollers, are available in plastic, galvanised steel, SS and plastic with ESD protection. 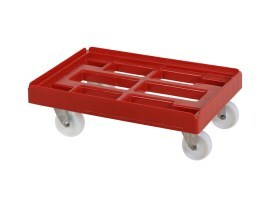 For every practical situation there is a suitable trolley. We supply dollies in Euronorm dimensions 600 x 400 mm for the transport of ordinary stacking bins, storage bins, lidded bins, bread crates and other food crates. 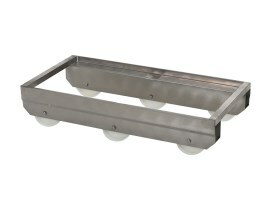 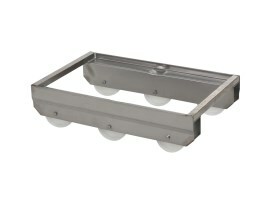 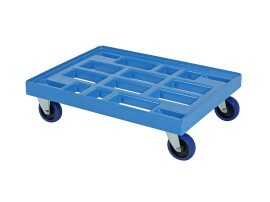 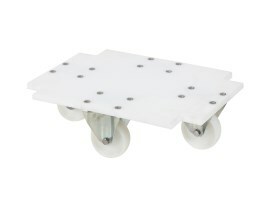 In addition there are many wheeled trolleys in different sizes, specifically for fish crates, transport bins and tubs. 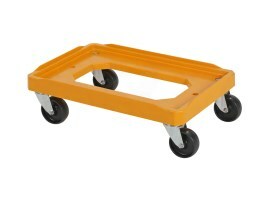 Wheeled trolleys are also custom-made on request. Want to know more about dollies and wheeled trolleys?